Last year was an amazing year for my dolls house and miniature art, with paintings going to more and new destinations across the world than before and it was a year for new subjects and themes, together with lots of challenges with commissions and projects. 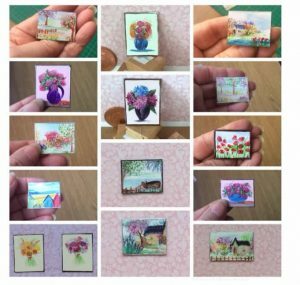 It was also a year where I sold more paintings than ever before and with nearly all of these being my miniature dolls house art, miniature original art screens and miniature ACEO art card collectible art. Painting Encaustic has been my passion for many years and painting in miniature is really where my heart lays, I have in fact painted miniature art from the early days of working in this wonderful medium – painting Art In Wax (Encaustic Hot Wax Painting) however, over the past 4 / 5 years these miniature pieces of art have taken over from my larger paintings, which I only occasionally paint nowadays. 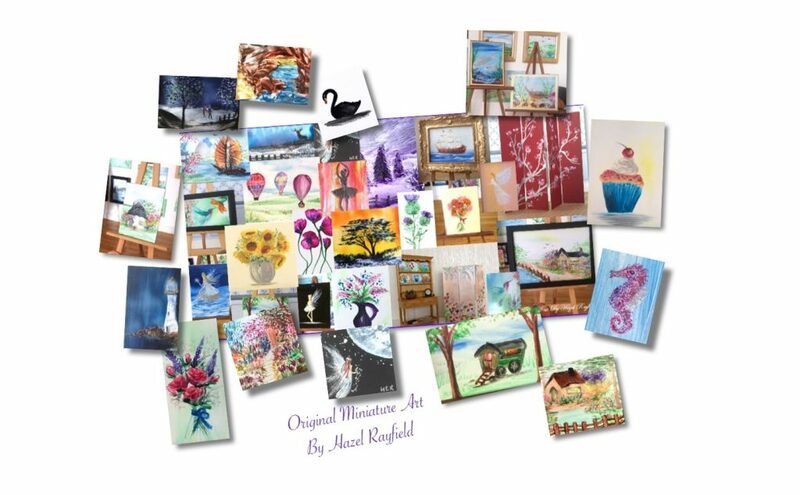 I do still paint larger on request and several of my miniature collectors own larger pieces of my art, which I am happy to paint for them. 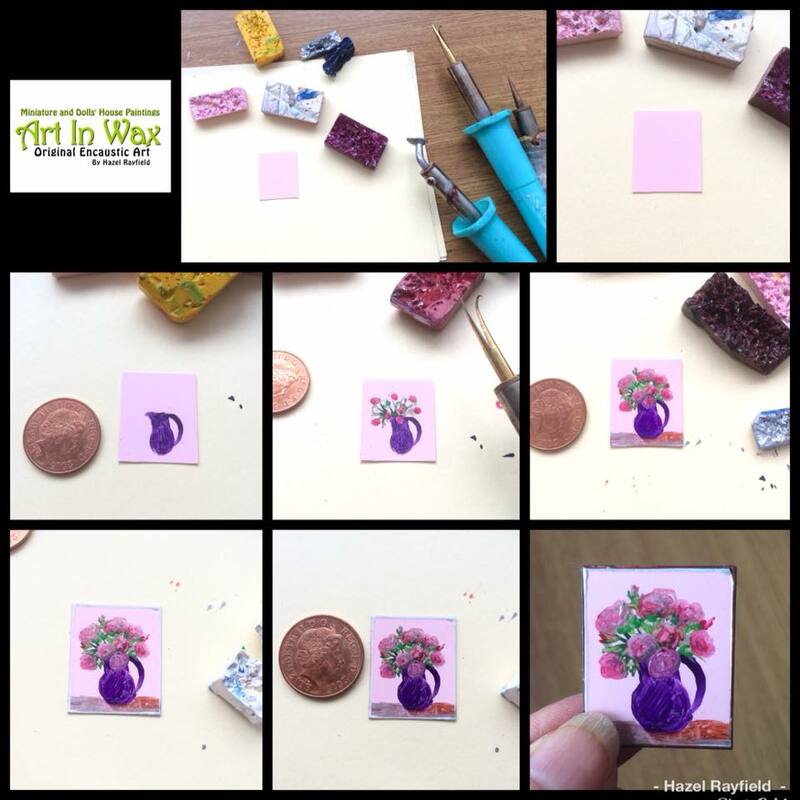 With this in mind I have decided to make some small changes to my logo and bring the Dolls’ and Miniature Art more into the branding of Art In Wax. 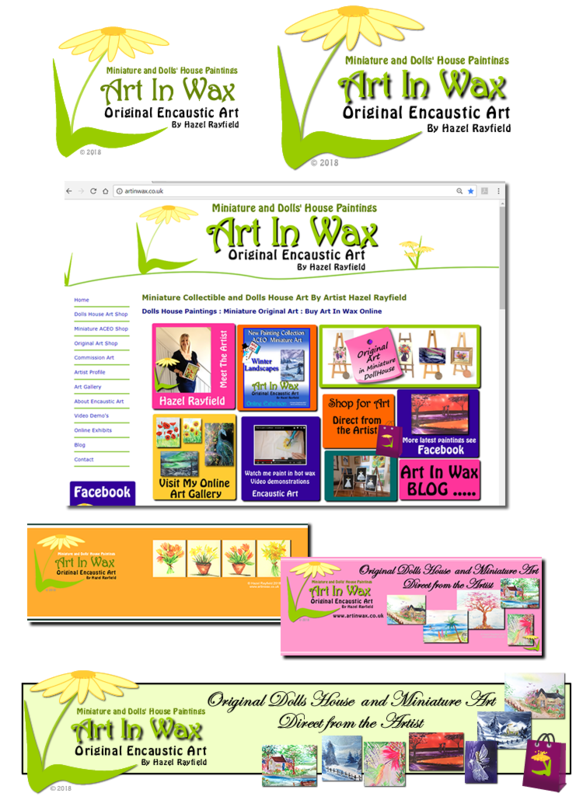 It is only a small change but I really feel it is appropriate to bring the miniaturist side of my art more to the front in this way, so as you can see at the top of my blog here the banner has changed, as has the banner for my website, Facebook pages and my Miniature Art Etsy store. 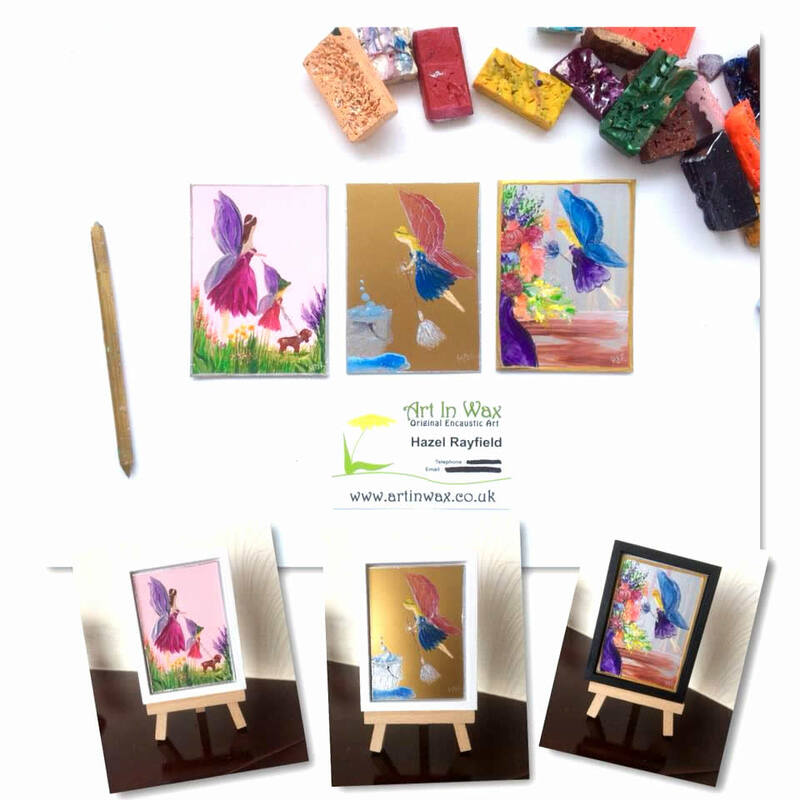 As time goes by I will be changing my stationary and making small changes to the website, just to bring the focus more towards the miniature art I am creating and my part as a miniaturist artist. You are currently browsing the archives for the Encaustic Art category.